The much-derided bendy bus will disappear from London’s streets by 2015, the mayor, Boris Johnson, declared yesterday as he unveiled plans to reintroduce that bus-spotter’s favourite – the Routemaster. The first of London’s 393 bendy buses will be retired next year and operators will be told to replace the 18-metre vehicles with conventional double-deckers. 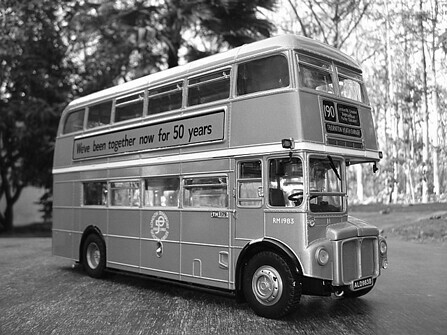 Passengers will have to wait until 2012 before the new version of the distinctive Routemaster hits bus lanes. Johnson yesterday invited bids from amateur bus enthusiasts and design firms to draft a 21st century take on the legendary vehicle, whose open platform at the back has invited many precarious boardings and exits over the decades. A leading investment bank, Deutsche Bank, warned that the Routemaster revival would come at a price. Passengers would have to stomach an 11% increase in fares because the estimated annual cost of running the network, already subsidised at £500m a year by the taxpayer, would rise by £117.8m, mainly due to the hiring of around 3,000 extra staff to man the Routemasters. Bendy buses have not inspired the same affection and have been criticised for their traffic-snarling length and alleged encouragement of fare dodgers – accusations that were denied by the former mayor, Ken Livingstone. Nonetheless, Johnson is claiming anecdotal support for a policy that became an unlikely battleground in this year’s mayoral election. Critics of Johnson’s policy have claimed that manufacturers will refuse to build the vehicles due to safety fears over passengers tumbling out of the open entrance, and have warned of a £100m funding gap in his plans to replace the fleet. The former head of Volvo’s UK bus operation has dismissed the plans as a “non-starter”, while transport experts have warned that the buses will cost more than £250,000 each, higher than the cost of a bendy bus. Livingstone has claimed that Routemasters could kill 10 people a year if they returned to the roads. Johnson dismissed those concerns yesterday, saying his transport executives were “more than confident” that a safe and wheelchair-friendly Routemaster could be introduced. The London transport commissioner, Peter Hendy, who commissioned bendy buses and is one of their staunchest defenders, said the competition could produce a ground-breaking successor. “This is a fantastic opportunity for people in the motor vehicle industry to give us buses that are light, durable 21st century vehicles.” He said the last bendy bus would be taken off London’s roads in 2015, when the contract for the 435 from Marylebone to Lewisham expired. Johnson confirmed that the new Routemasters will have space for two crew members including a driver, although bus conductors are now obsolete due to the near-elimination of cash fares with the Oyster card system. Stephen Glaister, the executive director of the RAC Foundation and a former board member at Transport for London, questioned whether bringing back London’s signature double-decker represented good value for money given the pressures on the capital’s budget- including the £16bn Crossrail scheme and repairing a funding hole of at least £2bn in the public private partnership programme to upgrade the underground network. “There are lots of other demands on the budget. The question is – where is the cash going to come from and is it better spent on something else?” he said. What should Boris Johnson be looking out for with a new London bus? A Routemaster mark 2 shouldn’t be a retro version of the bus we loved that was in service in London for half a century. It needs to be thought out from first principles, and be the most environmentally-friendly bus possible. […] It is not a question of a mere styling exercise. What mayor Johnson should be looking for is a truly radical bus, just as the Routemaster was the most advanced city bus of its generation in the world. So a Routemaster mark 2 might not look like anything else on the road, and it would be best if it was a bus that could be designed so that it could take on many configurations. Some new Routemasters might have a conductor and an open platform, others might not, and of course it would be a bus that would have to cope with every level of physical disability. Unlike the latest wave of double deckers and bendy buses, it also needs to adorn the streets of the city it serves: it should be regarded as a work of mobile architecture, as much as a work of engineering and public service. I note the legendary Mr Livingstone’s comments in favour of his beloved bendy buses and against the Routemaster replacement. Here are just a few obvious points Ken. Your bendy bus undeniably causes congestion at junctions, and even occasional visitors to London like myself have only to wait a minute or two at one to witness it. Your support of them in light of your advocacy of congestion charging and the desire to free up roads, is therefore pure hypocrisy. I have witnessed two incidents where the rear of a bendy bus hit a pedestrian and a cyclist when turning left. Many of these incidents probably go unreported and in both the cases I saw, the bus driver did not stop. There have probably been no real statistics about bendy bus injuries / incidents incidents and Ken would probably find some good reason for this. I think we can be forgiven for using our common sense and concluding that far greater risk of injury exists with his flawed concept of bus design than one which worked well for over 40 years. I do of course have to accept that silly people like me have to be protected from ourselves as some H&S consultant will be trotted out to “prove” (probably at enormous expense) that riding in a Routemaster is an enormously risky thing to do, putting on par for accident risk with motorbike courier riders. Of course this all shows some expedient avoidance of basic facts. First, in Ken’s well ordered world passengers in the post-2010 era will stand on the platform of a bus while in motion at the risk probably of a custodial sentence. 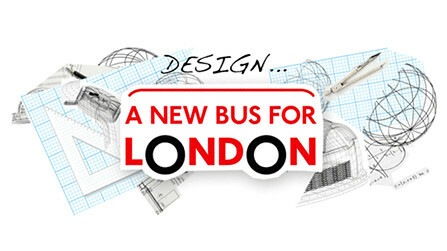 More importantly, however, the new buses will presumably have doors (as indeed many Routemasters did). Quite why any design would ignore the obvious benefit of an enclosed interior I think he might do well to ponder over? Of course Ken, you will point to the fact that your lovely bendy bus is highly user friendly, making bus travel practical for the disabled, elderly etc. And so say all of us, but if we take that away it has nothing in its favour and of course many double deckers can be used in just the same way. You might do well to consider, however, that the way buses are now run in London, the chances of injury while trying to move on the upper deck must have gone up immeasurably. Passengers to many drivers seem to be no more than a sheer bl…. nuisance. In terms of bus service many of these drivers are surly at best, will not engage in a conversation with a passenger on even the most basic point, and invriably drive away rather than wait a few seconds for a passenger (or should that be customer in this case Ken). I doubt any driver is briefed these days to consider us as customers. Fomer LTE staff must look on in digust at the way we are treated. The lauded prepayment concept of course just makes any notion of cutomer service any less likely as no discourse with the paying public is apparently necessary. Given the “initiatives” into which you have ploughed tens of millions of Londoners money Ken, it is surprising that you have never cited service as a prerequisite of bus travel and re-invented the concept of the bus conductor. London Transport might then be re-invented too, though the notion is a little unlikely given the fact that the service it provided was infinitely better than that provided today and it would thus be an open acknowledgement of the fact. Lastly we have the conveniently timed comments by the gnomes of Deutsche Bank wittering on about how much this will all cost. One thing you can say with safety these days is that London has fewer bankers per square mile who consider service to be important than there are heritage service Routemasters. Never thought I would see the day I appluded a Tory being elected but this was the one exception.